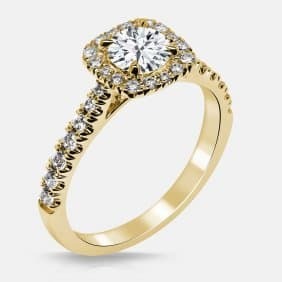 [/vc_column_text][/vc_column][/vc_row][vc_row][vc_column][vc_custom_heading text=”Diamond Engagement Rings in Toronto” font_container=”tag:h1|font_size:52px|text_align:center|line_height:100%25″ use_theme_fonts=”yes” el_class=”cardo title-mp-remove”][vc_empty_space height=”70px”][/vc_column][/vc_row][/vc_section][vc_section][vc_row][vc_column width=”2/3″][vc_custom_heading text=”Diamonds are a classic way to immortalize your love. Whatever the cut and style, these beautiful gems are sure to inspire confidence and grace.” font_container=”tag:p|font_size:36px|text_align:left|color:%2390856b|line_height:120%25″ use_theme_fonts=”yes” el_class=”cardo title-mp-remove”][vc_empty_space height=”50px”][vc_custom_heading text=”The diamond engagement rings we offer are:” font_container=”tag:p|font_size:36px|text_align:left|line_height:120%25″ use_theme_fonts=”yes” el_class=”cardo cardo-bold”][vc_column_text]Diamonds represent relationships filled with love. That’s why they’re the perfect choice for an engagement ring. Whatever the cut, our diamonds shine with a fiery glow and brilliance that capture your attention. No matter what diamond you choose, you’re sure to be confident in your decision with our team guiding you along. 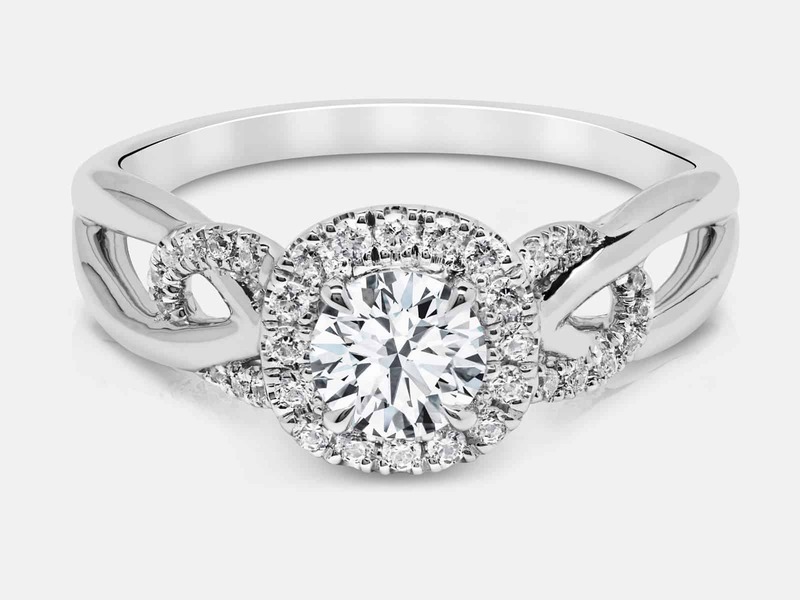 While we always go above and beyond the 4Cs of diamonds when we gauge quality, it is important that you understand the 4Cs so you can make more informed purchasing decisions. 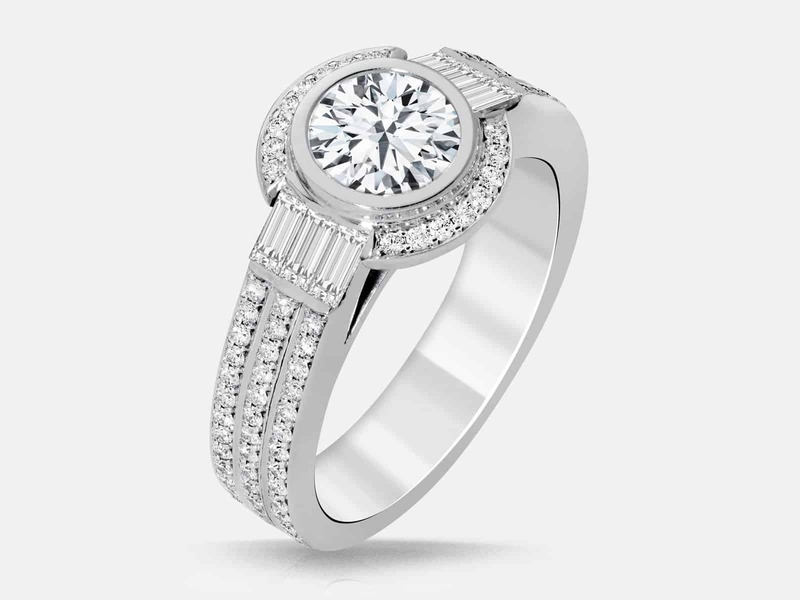 The 4Cs include carat weight, colour, clarity, and cut. When people ask how many carats a certain diamond is, what they’re asking is how much that diamond weighs. 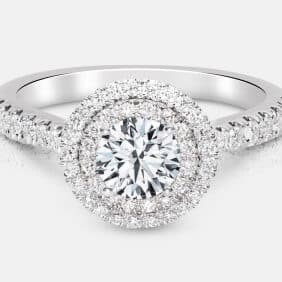 Specifically, a metric “carat” is defined as 200 milligrams. Every carat is made up of 100 “points”. 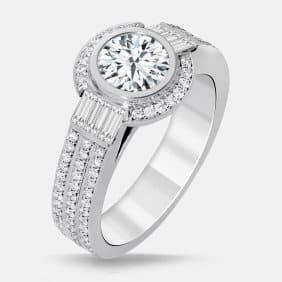 This gives the ability for diamonds to be measured with extreme precision. A jeweller might describe the weight of a diamond below one carat just by its “points”. 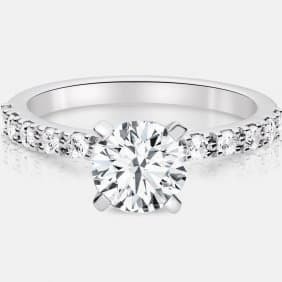 For example, a jeweller might refer to a diamond that weighs in at 0.25 carats as a “twenty-five pointer.” If a diamond is greater than one single carat, it is expressed in both carats and decimals. 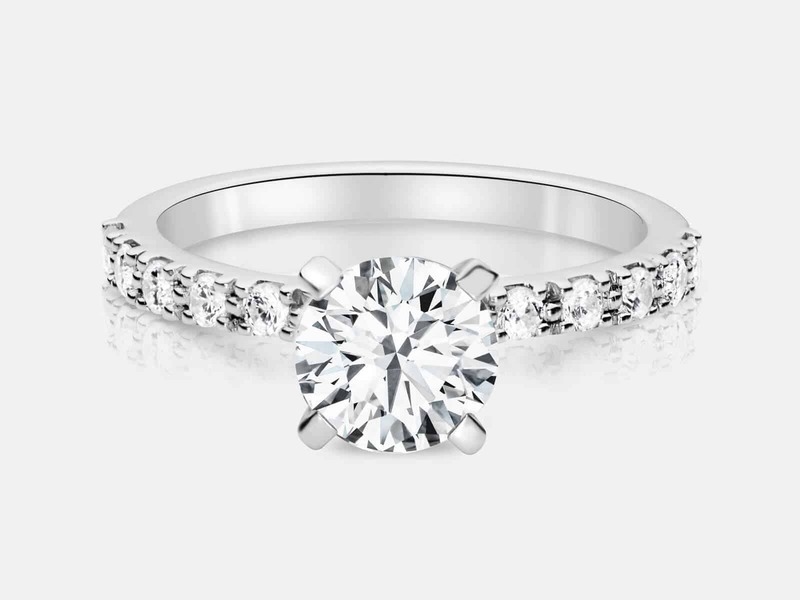 A 1.05 carat diamond would be referred to as such. Diamond prices increase alongside carat weight because larger diamonds are rarer and more in demand. 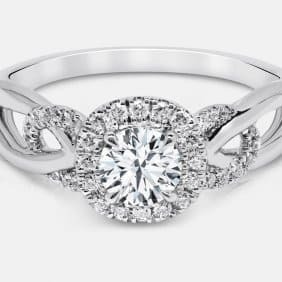 However, each of the other 4Cs play a big factor in determining the price of a diamond as does the type of gold say rose gold vs white gold. Diamond colour is evaluated not on the presence of colour, but rather the absence of it. 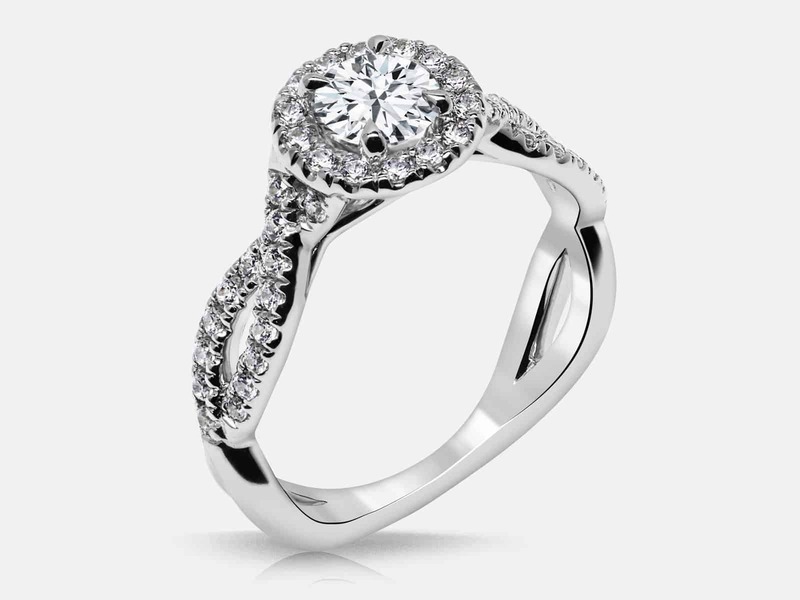 A pure, perfect diamond has no visible hue, similar to clear water, and as a result, has a much higher value. The GIA (Gemological Institute of America) created a colour grading system. It ranges from D to Z, and measures the degree of colourlessness by comparing a diamond under controlled lighting and extremely precise viewings to referential stones that have established colour. In many cases, these distinctions are so minor that they cannot be detected by an untrained eye. These distinctions do make a rather large difference in overall diamond quality as well as its price. 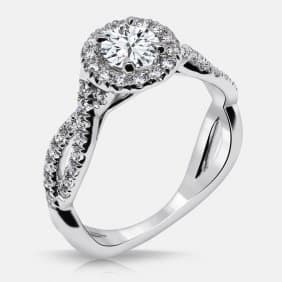 The process of evaluating diamond clarity involves determining the number, size, relief, nature, and position of these flaws, as well as how these affect the overall appearance of the stone. No diamond is perfect. However, the closer it comes, the more valuable it is. The GIA Diamond Clarity Scale has 6 categories. Some of these are further divided, for a total of 11 specific grades. 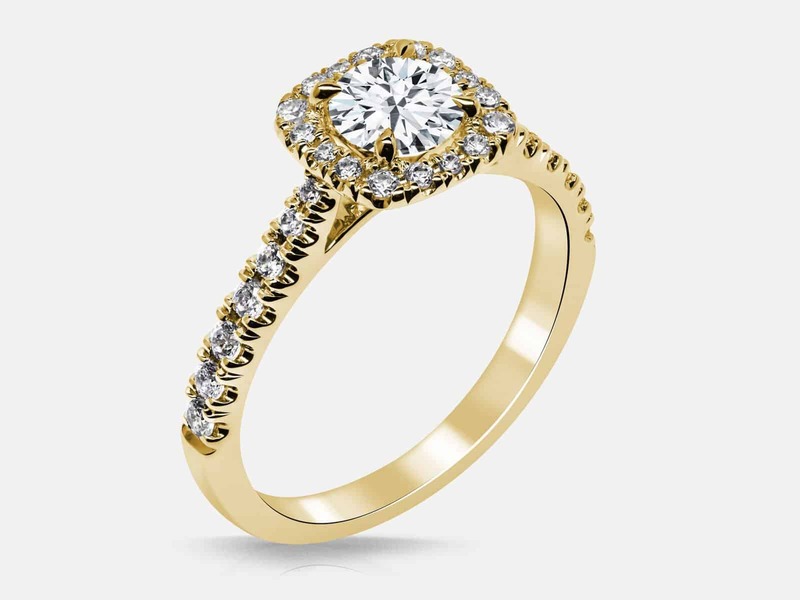 A characteristic feature of a well-cut diamond is its ability to transmit light intensely. 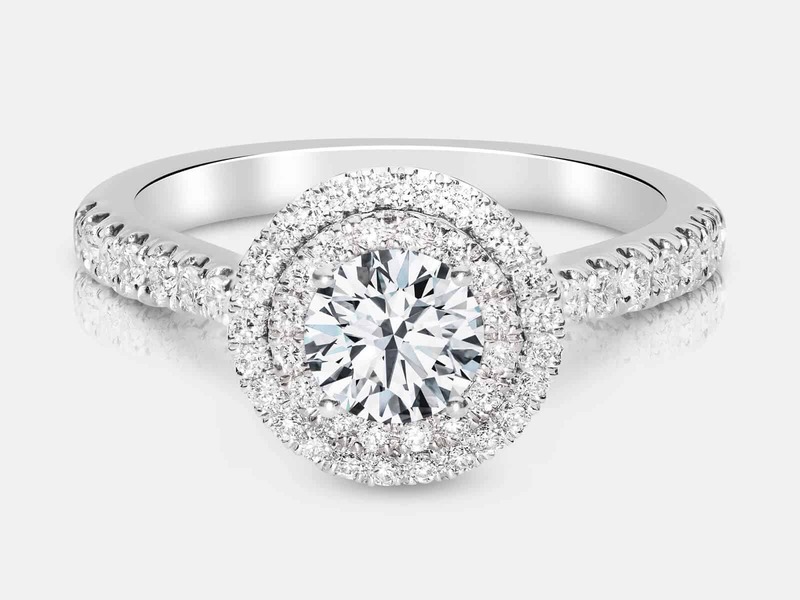 When people think about a diamond’s cut, they tend to think about its shape. However, in truth, a diamond’s cut grade is really about how well a diamond’s facets interact with light. 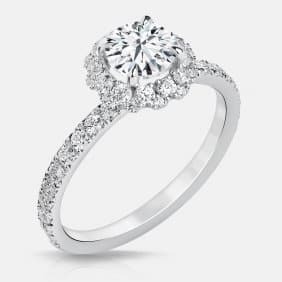 Careful craftsmanship is required to cut a diamond so that its proportions, symmetry, and polish give the signature glow only possible from a diamond. 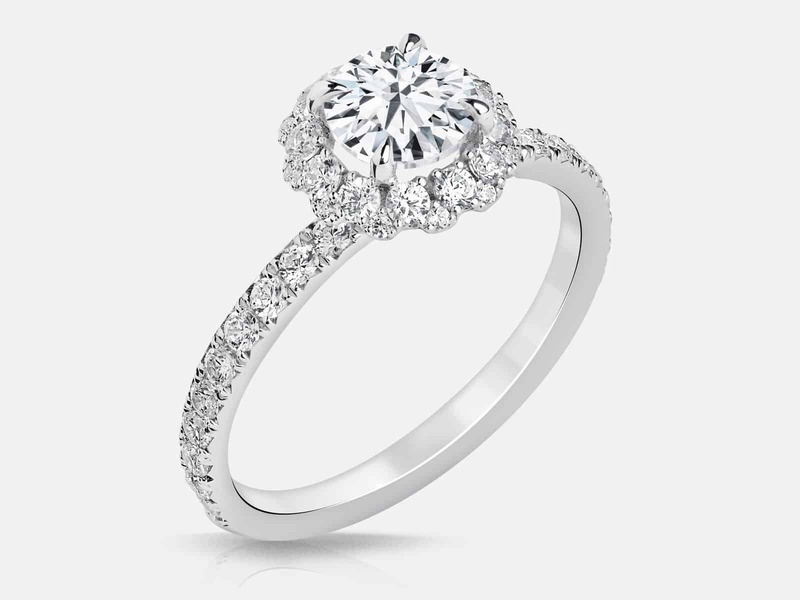 The way a diamond is cut is a critical factor to the stone’s final beauty and value. Many factors go into the cut evaluation process. Proportions of cuts, how the cuts interact with light, brightness, fire, scintillation, and the overall design and craftsmanship of the diamond all play a role in determining the grade of the cut.